I've recently bought a used 40 breeder and DIY stand that's only a year old. 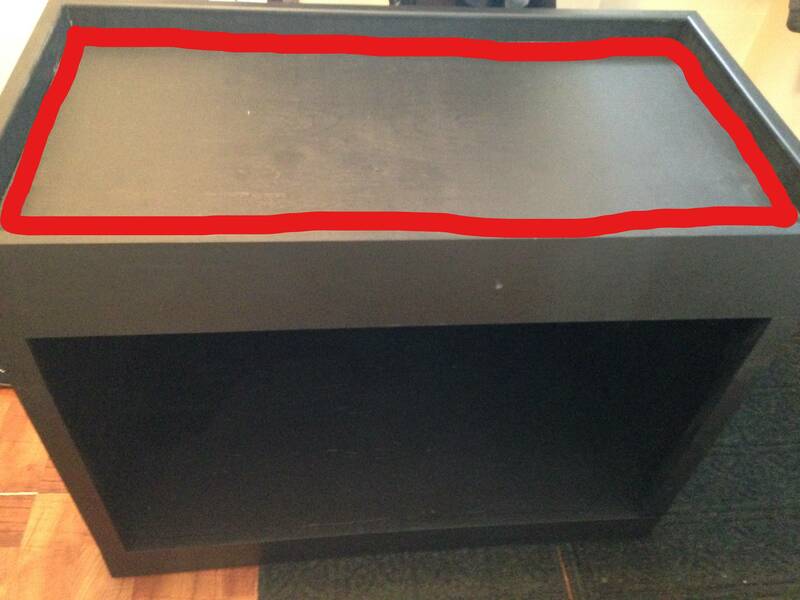 The plywood top on the stand is ~5mm lower in one corner and ~3mm higher in another. Won't know 100% until I get the stand in the area and levelled out where I want it. Assuming it is as i've measured out with my measuring tape, should I use 1/2" or 1" thick rigid styrofoam insulation or a 1/2" or 1/4" thick yoga mat? I was also reading up on using styrofoam underneath tanks with a plastic rim and some people say over time the styrofoam will crush (as it should) but then create uneven pressure in the middle of the glass bottom. Should I cut out the styrofoam to only go around the plastic rim of the tank (like my picture below) to even out the unevenness or should I just use a whole sheet underneath the entire length of the tank? Most important thing is the tank should not rock when in the stand. That is the recipe for disaster. I have a 2x stand I got from a friend and two of the 3 tanks rocked so I put a shim under the tank itself. No. The stand is not perfectly level and that doesn't matter a hill of beans as to longevity of the tanks. If that tank rocks it will break. But as you already noted wait until it is placed where it will live and THEN take a look at it. Put the tank in and see if it rocks when empty. Then shim it if needed. I've got many, many tanks running. Some farm tanks. Some display. None of my tanks has any styro, cushion or anything else under them. Some of those suckers are almost 40 years old and still going. All you need s support on the rim of the tank. Of course this applies to glass tanks only. Acrylic needs full support. So say it doesn't rock in the stand but there is still a gap in a corner of the plastic rim (which I won't be able to see due to the lip around the top of the stand), would that call for using styrofoam only around the rim of the tank or underneath the entire tank? I must of had a major moment of stupid yesterday as today I thought "wow, I didn't even put a straight edge on the top to see if it was actually slanted". Low and behold, the entire top is perfectly flat. Yikes! My bad. I've seen 40B (and larger) tanks supported on only 4 concrete blocks. Also on two 2x4s that only supported the tank in the center. I myself have been running 20's supported in the middle of the short dimension with the ends hanging off. My tanks that are on metal stands are in many cases not fully supported along the entire rim. I know for a fact that my 75 and 90 are not supported along the entire rim. I can see light through most of the middle meaning it is supported only on the corners. No. I don't worry about them cracking since they are not susceptible to racking. They didn't rock on the stand when empty. The stand for the 90 however I don't trust because of the width of the angle iron they use to make it. (Commercial stand) But it holds the weight none the less. As for styro and or mats. Never use them. Probably never will. In 38 years of keeping tanks never have seen a need. And in many cases they have been detrimental with creating a situation for mold.